Free shipping for all mainland UK destinations. All prices include UK P&P - No VAT to pay. Free shipping for all mainland UK destinations. All prices include UK P&P - No VAT to pay. For all others please contact for Shipping Prices. We are 100% secure, buy with confidence. We are a secure site that you can buy from with confidence. We utilise 128-bit SSL certificates thereby offering the highest level of security encryption possible. This means you can rest assured that communications between your browser and Gripseal's web server is private and secure. 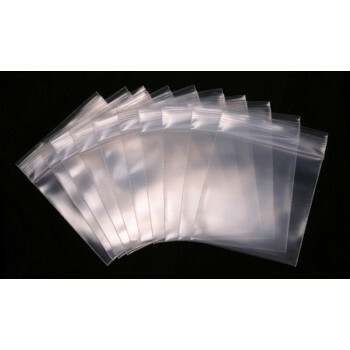 350g (87.5 micron) Best Quality bags Very thick and hard wearing. Dimensions are approx internal, the smaller being the opening.